What’s entered into a blockchain should be etched in stone. If you try to alter what’s recorded there, that can be thought of as criminal vandalism. 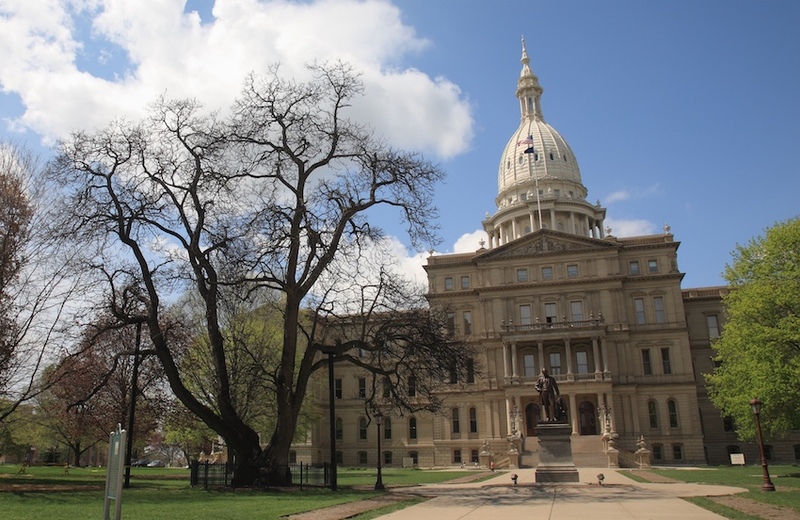 So goes the thinking behind new legislation in the State of Michigan that would make it a crime to change information within a blockchain. Proposed by Curt VanderWall, a state senator, the bill could impose a felony penalty of up to 14 years in prison for “anyone who commits a violation by changing a record stored using distributed ledger technology,” per Marko Vidrih, a cryptocurrency expert writing on Medium. Like most states, Michigan has no laws specifically regulating blockchains or cryptocurrencies. Several regulators around the world, such as the U.S. Commodity Futures Trading Commission, are considering whether to police digital currencies. The U.S. Securities and Exchange Commission is also examining whether to treat initial coin offerings as regulated securities transactions. Although the Michigan proposal sounds like an admirable legal principle for safeguarding the integrity of blockchain data, aren’t blockchains supposed to be immutable by their very nature? Technically, new regulations on data changes could be overkill. Blockchain-based cryptocurrency exchanges, though, are a different matter. A handful have been hacked, resulting in significant losses. Digital coins may be stored in unsecured digital wallets or trading platforms. That’s often a separate concern from the blockchain’s integrity. Lawmakers across the country are concerned that data and coins could be counterfeited or stolen, no doubt influenced by numerous thefts of cryptocurrencies by hackers. For instance, the South Korea-based exchange Coinrail was recently hacked, resulting in the theft of some $40 million in digital coins. In December, bitcoin exchange NiceHash suffered a loss of some $78 million in coins. But are trading platform thefts due to flaws in the blockchains themselves? Another argument against stiff criminal penalties is that blockchains have embedded features that would stem any alterations. Safeguards may be already in place on distributed ledgers through cryptography. “In general, if the transactions are gathered together in blocks, and it is blocks that are secured on the chain using cryptography, and it is designed to be tamper-resistant and produce immutable records, the system qualifies as a blockchain,” noted Victoria Lemieux, an associate professor and head of the blockchain research cluster at the University of British Columbia, as quoted in The Verge. A less draconian approach to blockchain regulation is being eyed in California, where legislation would give simple legal recognition to blockchain data. That would give legal standing to smart contracts, one of the most heralded blockchain applications. As self-executing pieces of code, smart contracts can direct information to specified parties or automatically trigger payments. Assigning blockchain and smart contract data legal status is also being legislated in Arizona and Florida. While the wording in blockchain laws can be subtle, it’s an important first step: If electronic signatures and contracts aren’t seen as legal documents, they will have little commercial value. Still, the debate rages around what a blockchain is and what it can and can’t do. Distributed databases have been around for decades, and definitions can get fuzzy. The confusion will persist until a set of international standards are proposed, discussed and agreed upon – a process that could take years.